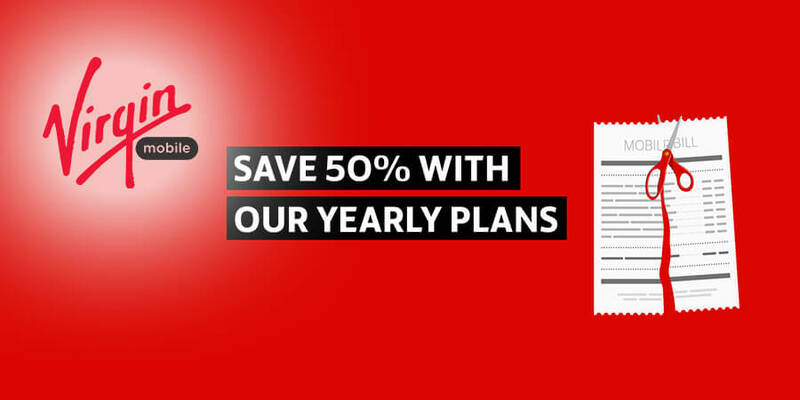 Virgin Mobile has launched its latest innovation; yearly plan options, designed to make customers mobile life simpler by offering savings of up to 50%, available exclusively via the Virgin Mobile App. With a one-time payment, customers have the opportunity to cut their bill in half getting the best value for a 12-month subscription. For example, a plan at AED 299.00 per month inclusive of 10GB and 500 local minutes now only costs the equivalent of AED 149.50 per month with this limited time offer. In an effort to continuously offer more choice and flexibility, Virgin Mobile users can customise their data as well as local and international minutes from 125 different plan options which can then be bought with a one-time payment for a period of 6 or 12 months. You can join Virgin Mobile in only a few minutes and from the comfort of your home. Simply download the Virgin Mobile app via the Play store or App store, or visit www.virginmobile.ae, choose your own number or transfer your current one, customize your mobile plan, and have your Virgin Mobile SIM delivered to your home or office within an hour.